Crystal Cove is the perfect vacation spot for fishermen, families, and those who seek endless smooth water for all types of water sports. 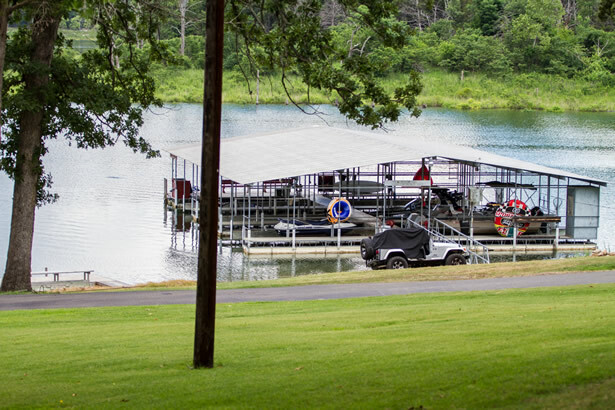 We are located right on Norfork Lake, only 10 miles east of Mountain Home, Arkansas, a fishing hot spot famous for bass, walleye, striper and crappie fishing. Crystal Cove Resort offers 9 clean and comfortable housekeeping cottages with fully equipped kitchens and screened in porches to enjoy the view. 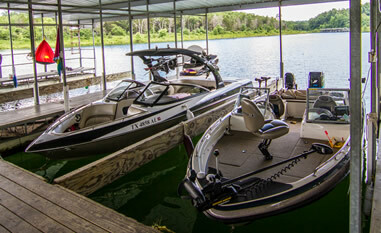 We are right on the water, with easy access to our own private boat and swim dock. 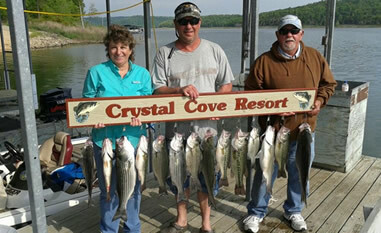 At Crystal Cove, you are treated to a quiet, peaceful location nestled in the Ozarks mountains. 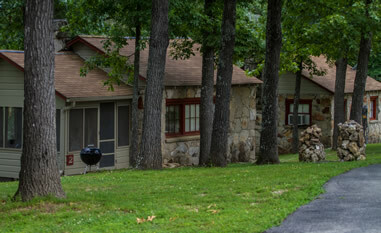 Our location is great for nature-enthusiasts and each cottage at the cove is spaced apart to ensure maximum privacy for your vacation. When you stay at Crystal Cove Resort, you're treated to everything our comfortable cottages have to offer, such as Direct TV and free wireless internet. Hosts Bob and Sandy Niemeyer have been in the resort business for many years, and would love to introduce your family or friends to the comforts and beauty of Crystal Cove Resort.